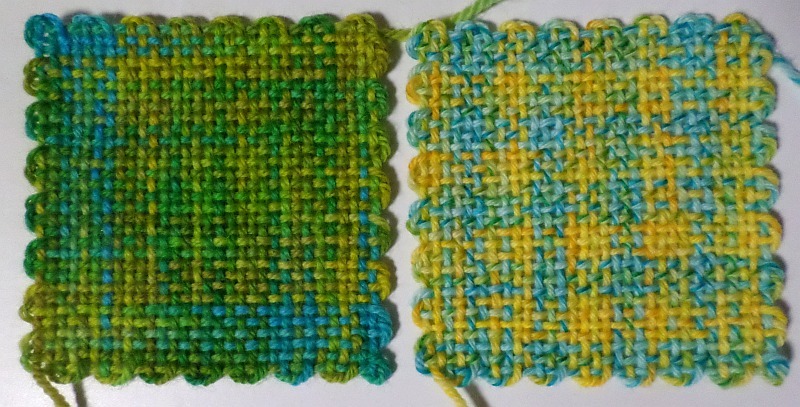 …weave my first two squares for the Tour de Weave. 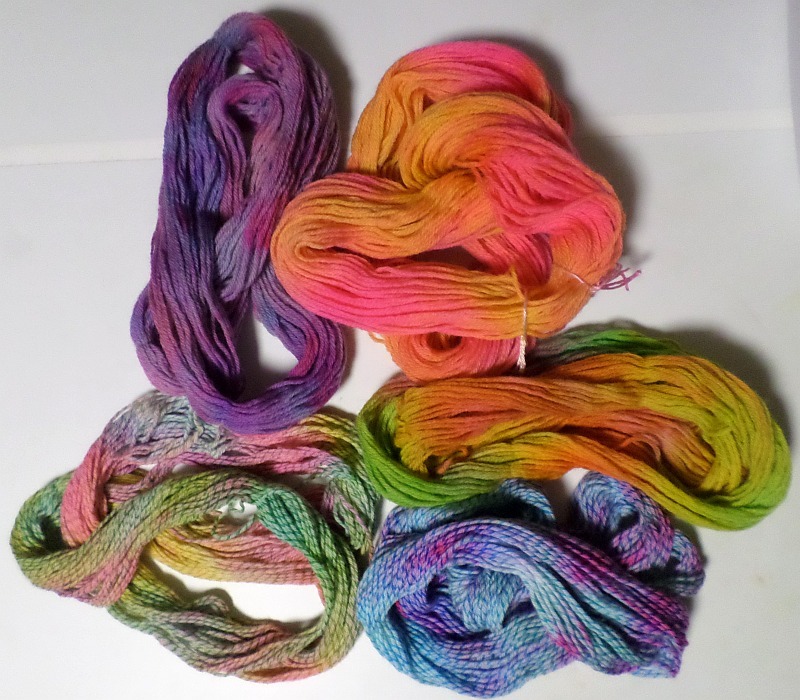 As I wove my squares I was delighted with them. 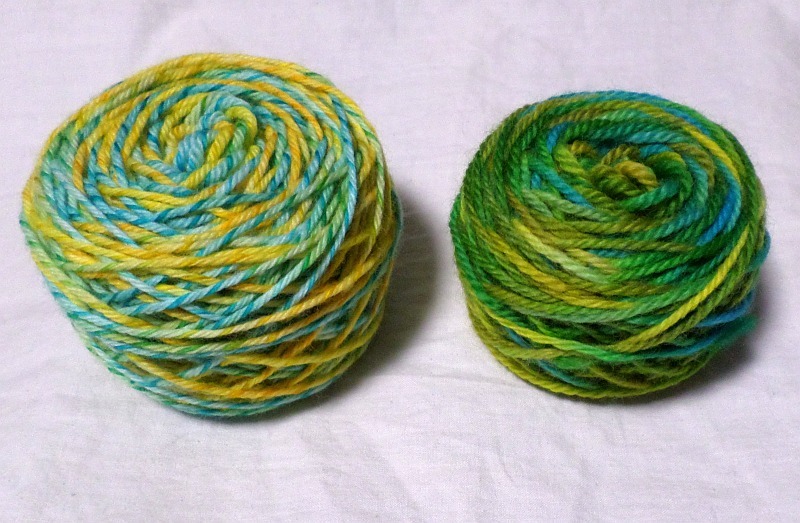 The fiber was soft and the colors are unlike any yarn I’ve ever seen before. 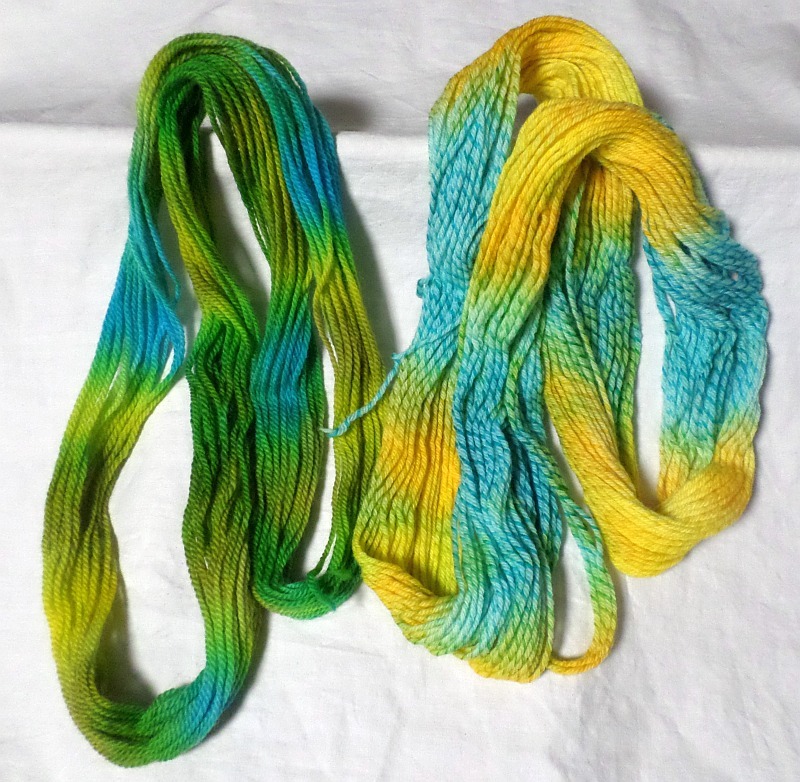 I’m not sure I’d want a lot of yardage of either of these colorways, but that’s the beauty of dyeing your own: you can make as much or as little as you want. 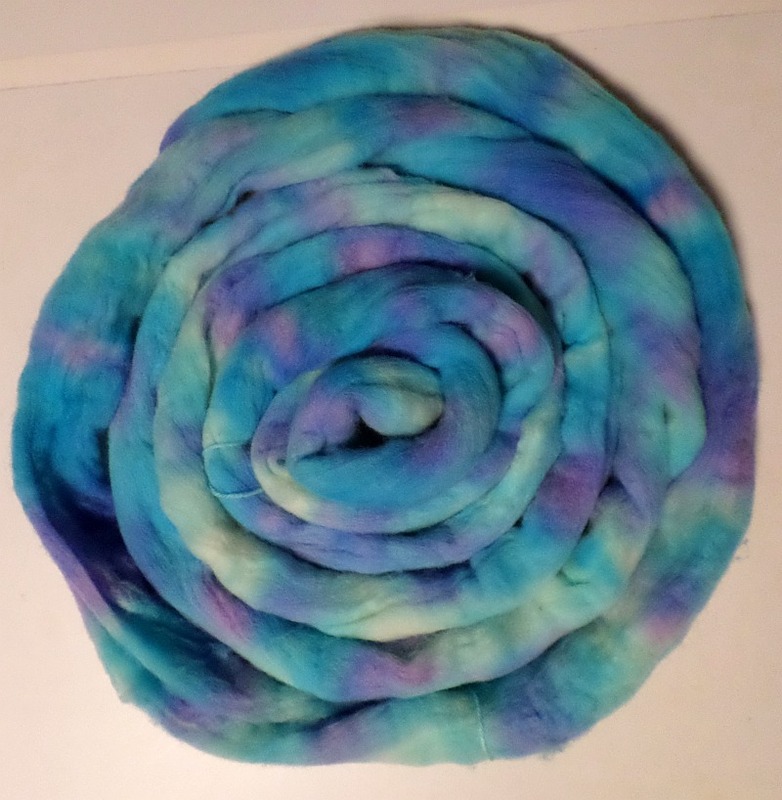 However, it’s difficult to reproduce the colors (unless you’re very scientific about your experiments, but I’m no Robert Koch), so I’ve learned to make large sample skeins. 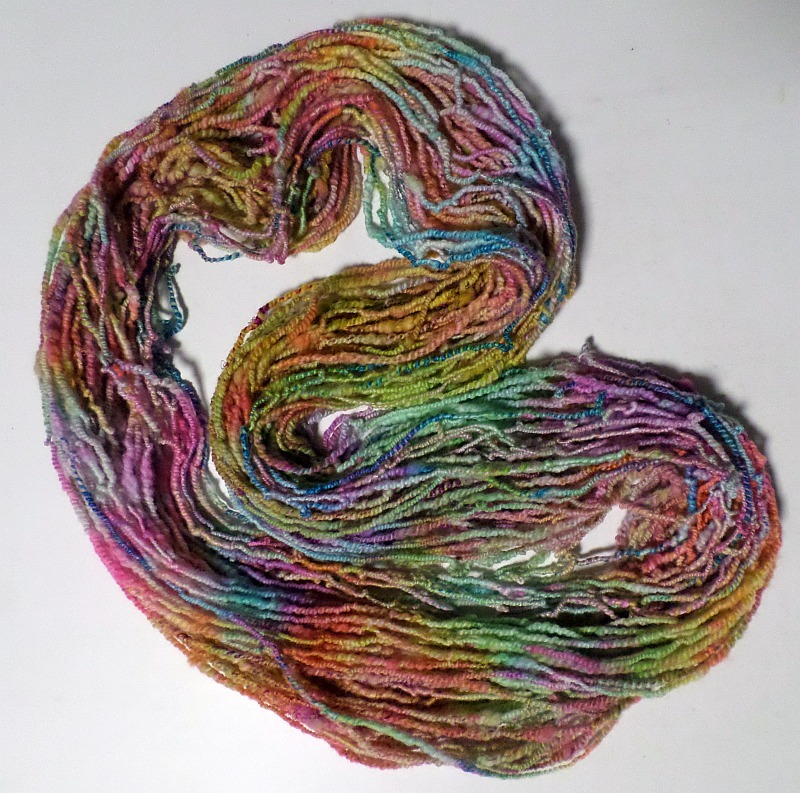 This particular skein should be my pride and joy. I’m pleased with it, and maybe it will look wonderful woven up. 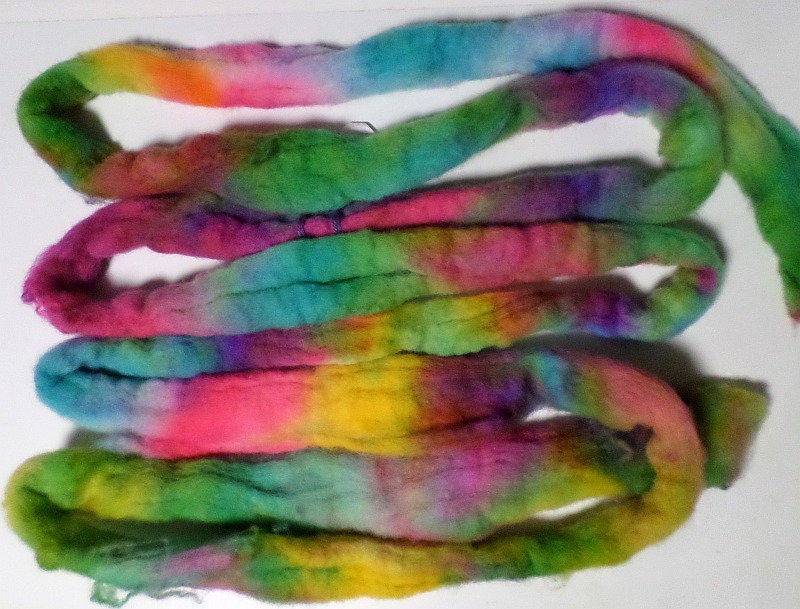 I washed the fleece, prepared it (in a variety of ways), and spun it myself, adding various things like sari silk threads (which I didn’t like using) and soffsilk (which I loved using). 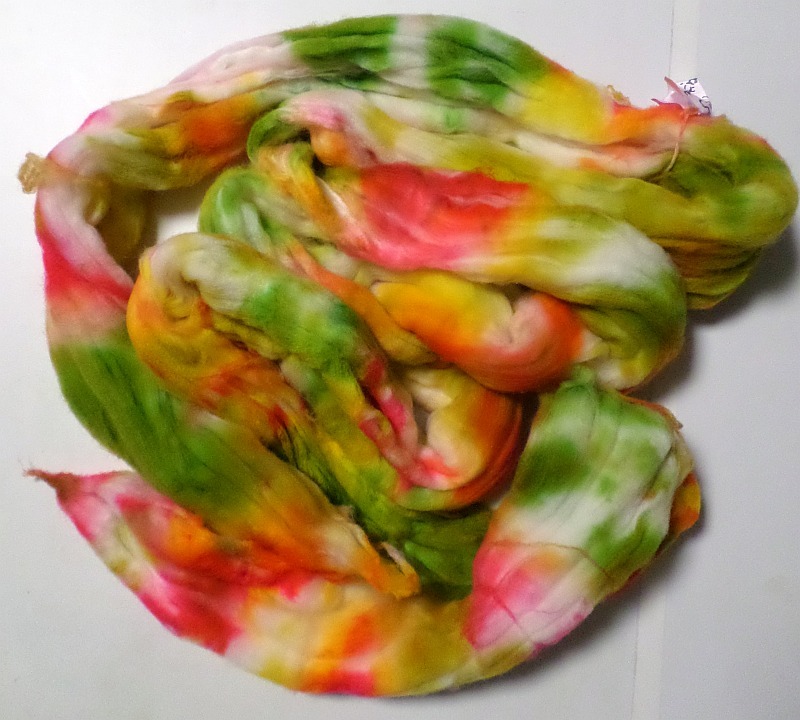 I wish I’d taken a before picture; instead I got a halfway through applying dye photo and an after photo. I like it a lot and have great hopes for it. 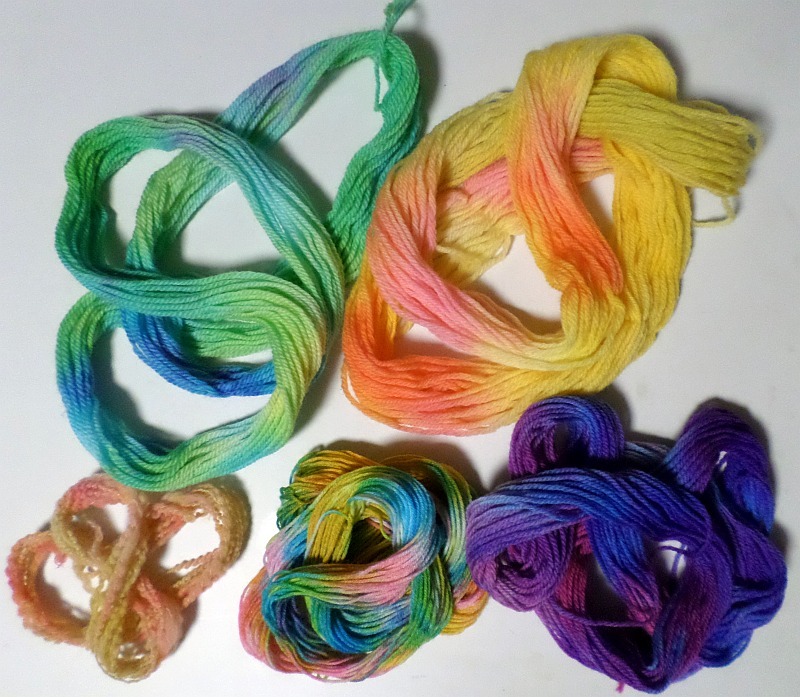 These are the other yarns and fibers I dyed today—attempting a few new techniques and learning a LOT. Some are still drying—even though it got to 104° today, some need extra drying time. I can hardly wait to start using them!